ERB Realty is dedicated to providing you the best customer care for all of your REAL ESTATE and PROPERTY MANAGEMENT needs. 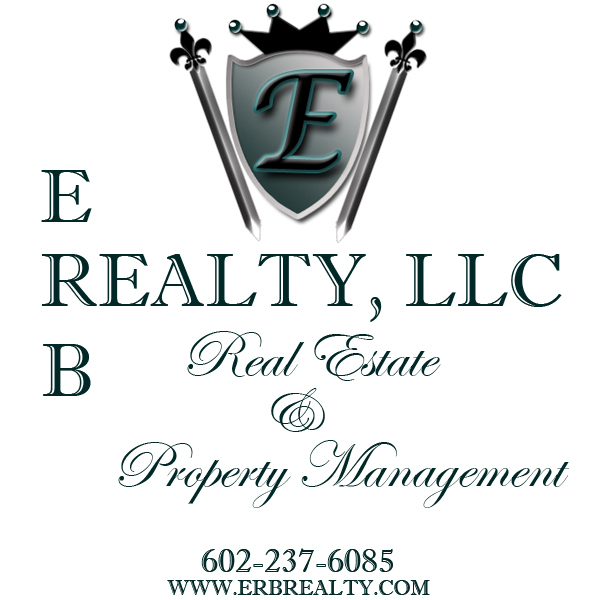 If you are renting, buying a new home, selling your current home, or need a Residential Property Manager in the Greater Phoenix area, contact ERB REALTY. We will assist you in all all of you Real Estate needs. On the ERB Realty website, you will find a wide variety of useful information and resource tools to make an informed decision. There is information on the local communities where you may be looking to purchase or rent a home, there is advice about finding a mortgage if you are purchasing a home, there is information on how prepare your home to sell, or the best ways to lease a property to increase your investment portfolio. Whether renting or purchasing, you can also search for a home by viewing current listings with detailed descriptions and photos. If you are selling a property, you can request a report to help determine a value of your property based on the prices of similar properties that recently sold or are currently for sale in the Greater Phoenix area. So whether you're buying, selling, leasing, or investing, please click on contact me for assistance in all aspects of your real estate or property management needs. Whether you're looking for your first home, your dream home or an investment property, Erb Realty is committed to providing you with the highest quality buyer service. When making the type of investment that buying a home requires, you deserve to have all the latest market information and the very best advice. Click on this document to view buyer advisory. buy_advis.pdf. The decision to sell a home is often dependent on many factors. Whatever your reasons are for selling, Erb Reaty has proven effective marketing strategies that will get the highest possible price for your home. Erb Realty guarantees to provide you with professional, ethical and confidential service and keep you fully informed every step of the way. Read more.